Full digital control of the design concept, application of intelligent CPU control System, combined with CMOS and PWM perfect, adopt frequency online interactive structure, built in power Intelligent charger novel uninterruptible power supply products. Particularly suitable for power environment of the region Use, pure sine wave output, can load drive all types. Machine with CPU control, all the operational parameters of UPS are controlled by the CPU, ensuring the UPS is in the best working condition. Improved the accuracy of the product parameter, ensured full compliance of product performance, the product failure rate effectively reduce. Built-in smart charger, with TOP charge type (charging type of high current at the initial, and balanced type and floating type alternating charging), shorten the battery charging time, extend the battery life, and it is suit to the areas of high rate power cut. Interactive structural design, low frequency type program, with superior shock resistance. To satisfy the demand for different type of load, this might be widely used in household, commercial, industrial, outdoor base station. Muti-level protection mode of output, which could resisit the impact effectively, and also with the short circuit protection function, which could enhance its reliability. When the main power is abnormal, the battery will supply power instead till low-voltage appeared, and then UPS shut down; when the main power come back, the UPS will start working automatically, and it will charge for the battery at the same time. No need to turn on the UPS manually. Operating temperature 0 - 40 C deg. Others Output short circuit, the inverter automatically shut down, the machine automatically resume output after troubleshooting. 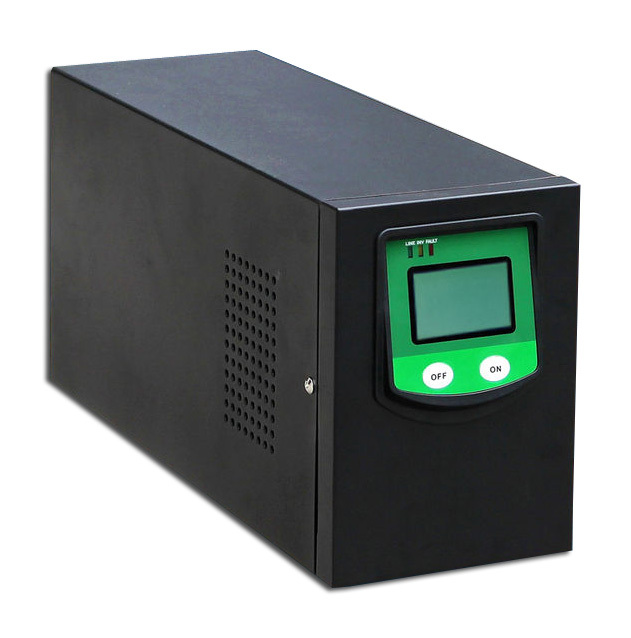 The inverter automatically shut down, it will charge automatically when main power recovered. Price: 860.00 PLN / pcs Price: 211.50 € / pcs Add to the basket.